November’s e-calendar giveaway from METTLER TOLEDO discusses the difference between calibration and adjustment and the impact they have on the accuracy of balances and scales. 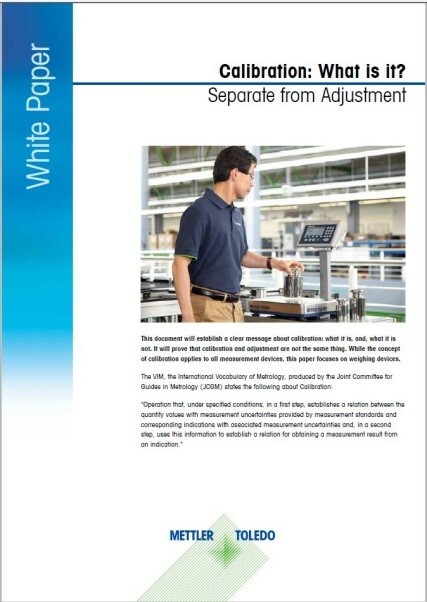 Understand the difference between calibration and adjustment with this month’s e-Calendar entry. Knowing whether a balance is meeting accuracy requirements is critical to protecting consumers and profits, particularly in highly regulated industries. Weighing is central to many, if not all, lab processes. Knowing whether a balance is meeting accuracy requirements is critical to protecting consumers and profits, particularly in highly regulated industries. However, weighing on an instrument that has not been calibrated is, at best, a guessing game – regardless of industry. This is why regular calibration service is recommended for all makes and models of weighing instruments. 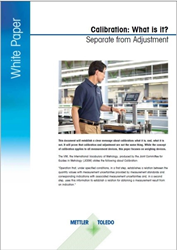 A new white paper, “Calibration: What Is It?”, helps to define the critical procedures of both calibration and adjustment. In short, calibration describes the behavior of a weighing device. Adjustment changes that behavior. It is common to calibrate an instrument without needing to adjust it. Learn this and more from the free white paper available throughout the month of November as part of the lab-equipment leader’s year-long e-Calendar—and keep watching for 2017’s final installment to discover a wealth of information to help optimize lab processes.